Established in 2014 SPM are a prestige car hiring company which specialise in a fleet of luxury vehicles, making sure customer satisfaction is met at all times whilst driving or being driven in the car of their dreams. We have a fleet of cars which will cater for any occasion, wedding car hire, executive car hire, luxury car hire, prestige car hire, performance car hire, celebrity car hire, special occasion car hire, proms and many more. SPM initially started from the capital London, it then expanded to Birmingham, making the fleet grow with areas has allowed SPM to ensure they cater most areas across the country. These cities include London, Birmingham, Manchester, Luton, Slough. Making your special day even more special, or arriving in style we can cater for all your needs. The fleet consists of luxury, performance and executive vehicles, such as Rolls Royce Phantom, Bentley, Porsche Panamera with the performance in vehicles such as Mercedes G63, E63 and C63 and many more. We understand whilst being chauffeured you want a certain level of comfort for the journey time, keeping that in mind our chauffeurs are well spoken and excellent drivers making your journey luxurious and memorable, be it a wedding, engagement, prom or just a drop off or pick up from the airport, our chauffeurs will always be on time and will make sure customer service is first priority. We all love to be in the driving seat, with our self-drive luxury car hire feature, customers can drive the cars of their dreams. Making an entrance in performance cars such as a Mercedes G63, BMW M4 or a Porsche Panamera the cars will certainly meet your expectations. We ensure the cars are kept to a certain level of high standard so when you drive you have nothing to worry about, but to just enjoy your day. We respect our customers circumstances, sometimes you may not be able to come to us to receive your car, but thats no major problem as we can always deliver the vehicle to your door step. With our delivery feature we will be on time and the vehicle will be delivered to the specific location you require. Our team strive to make your journey the best, easy and satisfying with a professional team. Based in East London SPM showroom gives you the opportunity to view your vehicle before making a booking. 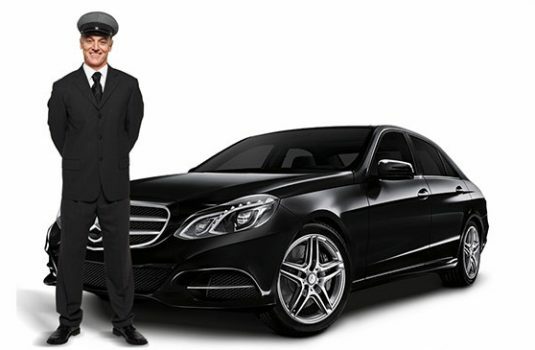 Luxury, prestige, executive, we take these words very seriously when it comes to our cars and service of the company, you will definitely never be disappointed and we can say this with confidence. We look forward to seeing you. On your special occasion arriving in a prestige car is what adds that special touch to your day, this is where the Rolls Royce fits in just perfectly. Rolls Royce Phantom has been the iconic wedding car since the release. The presence of a Rolls Royce Phantom gives your special day a touch of sparkle. With its elegant design and Stance it makes a stand and shows class. With Excellent cabin space and rear space, the Phantom gives a luxury journey for the Bride and Groom. We provide our customers with a range of wedding cars, the following being the Bentley. The Bentley Continental Flying Spur makes a magical wedding car. With plenty of legroom for large wedding dresses, your journey will be relaxed and pleasant. The Bentley Flying Spur will make any wedding day one to remember and cherish. Glamorous and Prestige our Bentley will give your special day the extra touch and a day to reminisce for years to come. All our wedding cars are chosen with the client in mind, we put ourselves in your thinking spot and make a decision from there. We take feedback from our clients to find new and innovative ways to improve our service. Ours designated drivers strive to provide excellent customer service to ensure you make an eye catching entrance to your big day, we strive to deliver nothing but excellence.